Recently, the CDT, or the Center for Democracy and Technology, has worked with ExpressVPN along with a handful of other reputable VPN providers to start a new initiative called ‘Signals of A Trustworthy VPN’. This work was motivated by ExpressVPN’s belief that all users should have the information and guidance they need to evaluate whom they can trust with their online privacy and security. In this article, we look at what the initiative actually is in practice and why it was a good idea for the CDT to establish in the first place. Lastly, we look at how our top rated VPN provider, ExpressVPN, manages to employ all the standards of the new initiative to remain the reputable VPN provider we have always known it to be. What Is The New Initiative From The CDT? The CDT have implemented a new initiative called the Signals of A Trustworthy VPN with the intention of raising standards across the VPN industry and market. Their aim is help empower the final user to be able to make a well informed decision when deciding what VPN provider is best for them and what VPN subscription plan to sign up to. The hope is to force all VPN providers to up their game in terms of the quality of the product they offer in order to stay profitable and relevant on the market. We all are using the internet with increasing regularity to conduct all manner of tasks and in the process are consistently giving away our personal and private data as we access more sites, buy more products or services and sign up to different schemes. VPNs are becoming more popular therefore as a means of increasing our online safety and security while we disclose that information. The key driver behind the initiative was to improve the trust that VPN users have across the industry and as a consequence their trust in using the internet as a whole to carry out both personal admin and professional work. As a consequence, for these VPN providers to be able to offer customers confidence in their ability to provide such security, they must be held accountable and reach certain standards. This is exactly what the new initiative is. A set of voluntary standards to meet that signal to a potential customer that their data will be safe when using a VPN. At very core of every trustworthy VPN provider is the fact that providers themselves simply have to handle their customer data in such a way that is respectful of their users and why those users have signed up to the VPN in the first place. This means that customer information can never be sold or shared without a customer knowing first. Additionally, VPN providers need to not only be transparent about their security practices, but they also need to be clear about those very practices to. This needs to be done in a way that even those with the most basic knowledge of technology will understand. Providers also need to lay out and be clear from the outset about what their ownership structure and business model is so that potential customers know how the economic incentive behind offering a VPN service works. Ultimately, if a provider has upstanding and moral motivations in running a VPN provider business, they won’t be trying to con their customers out of money. The CDT established the initiative with ExpressVPN by setting out a list of questions that each VPN provider is encouraged to answer on their website to promote how and why they offer an excellent VPN service. It is also meant to be a way that potential VPN customers can compare the VPN market more easily as opposed to getting swept up in any sales speak and jargon on company websites. ExpressVPN have likened it to a nutrition label on food packaging so that customers can ‘determine which peanut butter labeled healthy truly is better for you’. Plus, by asking questions pertaining to security, privacy and other data use practices, there is a secondary hope that it will jolt sub standard providers into upping their game. There are definitely providers out there that are chancing their hand in a market that has little legislation. These voluntary standards are a way of trying to eradicate that. What Are The Signs Of a Trustworthy VPN? The CDT aska a number of questions that are set out under the following 3 subsection headings. This signal section asks VPN companies to be clear about how the company is structured and owned and whether any business owners have an interest in other VPN services. Additionally, it asks how the company makes money in terms of its business and revenue model. This section of the initiative questions if and how a company stores data that transpires from a VPN session, and if so what that data is. This data can include what a user did during a browsing session and what websites they visited. Additionally, the CDT have asked the question what a VPN provider’s procedure is for responding to ‘legitimate requests for data from law enforcement and courts’. In this area of the initiative, the CDT wants VPN providers to be clear about how they protect against unauthorized access to customer data flows over a VPN. This is a huge section of the initiative given how many customers sign up to a VPN in the first place to ensure security whilst online. In that way, companies are also asked to answer what other controls they have in place to protect user data. This is a chance for the service to emphasize what sets them apart from their competitors. 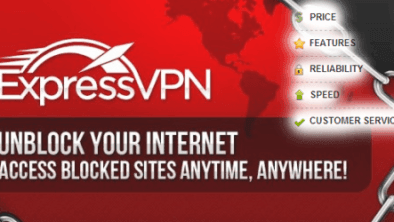 ExpressVPN constantly seeks to endeavour to build a cyber fortress around its users while they are online and using the internet through one of their VPN connections. They liken all the security protocols and procedures they have in place as high walls, steel gates and ‘a moat filled with bloodthirsty crocodiles’ making their VPNs almost impossible for cyber criminals to penetrate. Of course, one or two cybercriminals are exceptionally adept at working their way through even ExpressVPN’s security. Foreseeing this, ExpressVPN has procedures in place that minimizes what a cybercriminal can actually see if they do manage to hack their way into one of their VPN connections. ExpressVPN likes to know when their security protocols have been compromised and work tirelessly to solve any issues that may arise along way – no matter what time of day it is. They aim to keep breaches as short as possible to limit what cybercriminals can do in that time once they have hacked into a user’s system. ExpressVPN are aware that the world of cyber crime is constantly evolving with hackers becoming more and more wily to the ways of VPNs and how to work round them. Bearing this in mind, they consistently revisit their security protocols and procedures and question whether they can better them or improve them. They do this by both asking their own company experts as well as asking outside counsel to come in and evaluate their current processes. Their ultimate aim is to stay one step ahead, at the very least, of hackers and online criminals. A company that is not only happy, but enthusiastic, like ExpressVPN to be as transparent and clear as they are with regards to all their procedures and operating practices, is one that is incredibly trustworthy. By working with the Center for Democracy and Technology, they are further proving their worth given that the center is a non profit organization that tirelessly works to champion online civil liberties and human rights – an area that is prone to a great deal of grey areas. The work that ExpressVPN has completed in conjunction with the CDT further proves that they are a highly reputable VPN provider worthy of any customer’s business. This is down to the level of privacy and security that they seek to offer their users whenever they log in to their service through any one of their subscription plans.